There’s no place on Earth a flat kid can’t go! 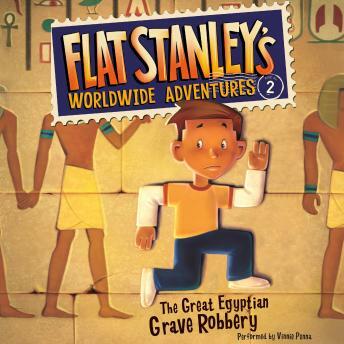 Join Stanley in his second exciting adventure in the renowned Flat Stanley's Worldwide Adventures series! Ever since Stanley was flattened by a bulletin board, there are places he can get to that no one else can. So when Stanley receives a letter from an archaeologist, he travels by airmail to Egypt to help find an ancient treasure deep in the heart of a great pyramid. But what if even the flattest boy on Earth can't wriggle out of this dark tomb—and the terrible mess he finds himself in? Don’t miss all of Flat Stanley’s worldwide adventures in this chapter book series!